^ "BNL Consulting". bnlconsulting.com. Retrieved January 20, 2017. ^ a b "Analysis | The U.S. census is in trouble. This is why it's crucial to what the nation knows about itself". Washington Post. Retrieved May 15, 2017. ^ "72-Year Rule". www.census.gov. Retrieved November 20, 2015. ^ Anderson, Margo; Fienberg, Stephen (1999). Who Counts? : The Politics of Census-Taking in Contemporary America. Russell Sage Foundation. p. 17. doi:10.7758/9781610440059 (inactive December 31, 2018). ISBN 978-1-61044-005-9. JSTOR 10.7758/9781610440059. ^ a b Petersen, William (1987). "Politics and the Measurement of Ethnicity". In Alonso, William; Starr, Paul (eds.). The Politics of Numbers. Russell Sage Foundation. pp. 187–234. ISBN 978-1-61044-002-8. ^ Weinberg, Daniel. "Management challenges of the 2010 U.S. Census" (PDF). 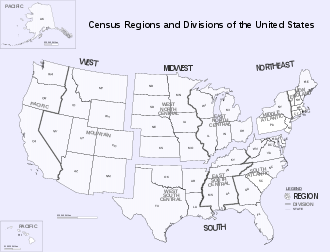 U.S. Census Bureau. Retrieved December 29, 2015. ^ a b Wade-Hahn ChanMar 28, 2008 (March 28, 2008). "Have feds cheapened contract bonuses?". FCW. Retrieved August 9, 2013. 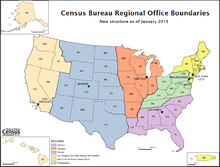 ^ "Census getting back on course, lawmakers told - Oversight". GovExec.com. Retrieved August 9, 2013.